Throughout the world, there are people taking action. There is momentum building for change. Britain, France, Belgium, Sweden, and Spain have (in some form) already recognized the State of Palestine. EU recognition is likely coming soon. The new Telhami/Brookings poll reports rising support among Americans for Palestinian statehood - and 63% of Americans oppose settlement building. Former Likud minister Moshe Kahlon, currently polling at 10-11 seats even before announcing his party, says he will give up land for peace: "I will not hesitate to concede territory for real peace. I will not miss an opportunity for peace." Support for negotiations in the Israeli public is still, even today, standing at almost two-thirds (63%, according to today’s Peace index). Peace Now reports show that there has been no new settlement construction announced since the Netanyahu-Obama meeting in October. The "Jewish nation-state" bill is facing substantial opposition both in Israel and in the US. The Arab Peace Initiative (which a majority of Israelis support) is still viable, and was changed earlier this year to be more in line with Israeli interests. Peace Now rallies have drawn thousands of people – including the most recent rally to demonstrate against the “Jewish Nation-State” bill held on November 29th in Jerusalem. We are not giving up - you cannot give up, either. Pivot from hopelessness to hope, and from helplessness to action. Americans for Peace Now is leveraging your action to make hope a reality. 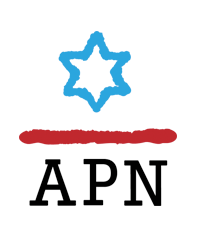 Please support APN and make your voice heard. Remember, it's not about right and left, but right and wrong. "The settlements are not part of Israel's security, they are hurting it."